Dine delicious Thai, Indian and European cuisines at the Premrudi Restaurant. Come and sample it for yourself and enjoy a selection of our favorable specialties or our daily three course set dinner. Enjoy our swimming pool for all ages in a garden escape, where you will take back exhilarating and wonderful memories of your trip to Pattaya. Beer Garden and Lobby Bar are delightful settings of complete relaxation for sweet music and hard drinks – both during daytime and at night. Free Wi-Fi in all rooms and public areas. 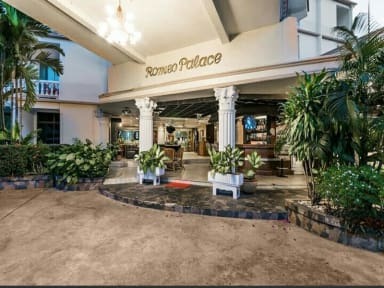 Authorized currency exchange services; 24-hour front desk with fax and photocopy services; a tour counter for all your travel itineraries including pick-up and drop-off services to airports and around Bangkok; safety deposit boxes available free of charge for your valuables; and Laundry and dry cleaning services are offered.